Established by the Los Angeles Times and the American Advertising Federation in 1988, this honors internship program began with three interns placements in 1989. During his 39 - year career in advertising, primarily at the Los Angeles Times, Vance Stickell established himself nationally as a highly respected advertising practitioner and statesman. In addition to the many honors and awards for public service that Vance received, he served as the national President of the AAF in 1986. The program is intended to raise awareness and understanding of advertising processes and business ethics among future advertising professionals. The program's permanent endowment was moved to The University of Texas at Austin in 2003. 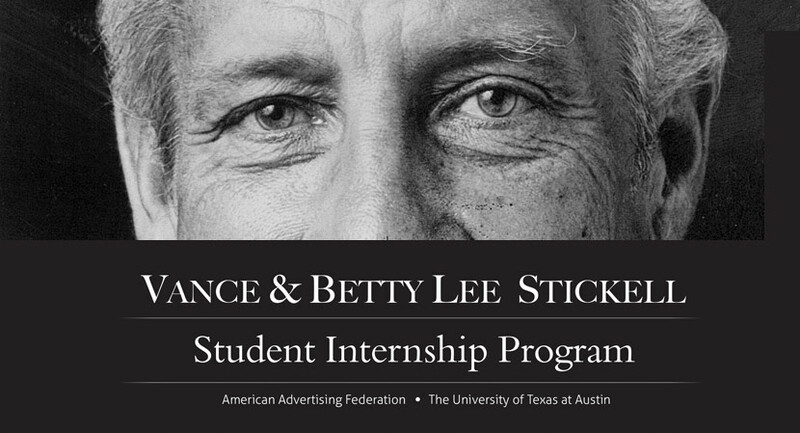 The program is now housed in the Stan Richards School of Advertising & Public Relations at UT which is responsible for the stewardship of the program. The program is jointly sponsored by the AAF and the Stan Richards School. 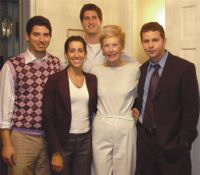 In 2005, Betty Lee Stickell’s name was added to the name of the program to honor her devotion and commitment to nurturing the program. Betty Lee was a force of nature and her spirit and ideals continues to provide the foundation of the program. Each year, approximately 20 of outstanding students nominated are selected for a 10-week internship at U.S. media organizations, advertising agencies, and client and supplier companies. The Stickell interns will receive a salary from the host company for a 10-week internship plus either a $1,500 scholarship or assistance with housing from their host company. Companies that participate in the program support the concept of advertising education, the AAF and one exceptional student. Lisa Dobias, the AAF Faculty Advisor of the student ad club at The University of Texas at Austin, and Natalie Myers, a Stickell intern, briefly discuss the benefits of participation in the program. Five of the 2015 AAF Stickell interns and two Advisory Board members participated in the Innovation/Integration student conference held in Washington, DC October 22-23. Left to right they are: Steve Hall, University of Illinois, Stickell Board; Jed Stewart, University of Scranton who interned at Leo Burnett; Hanna Cannell, University of Illinois, Urban Decay; Patrick Little, University of Alabama, Intermarkgroup; Tori Vines, University of Alabama, Whole Foods Market; Marrisa Ebanks, Ringling College, The Richards Group; John Murphy, University of Texas, Program Coordinator; and Hong Cheng, Virginia Commonwealth University, Stickell Board. 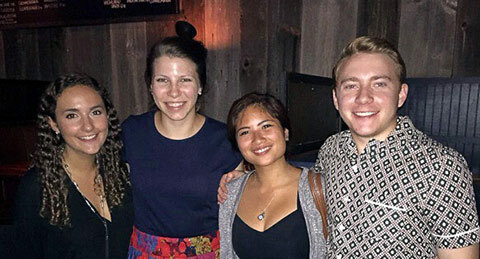 Four 2015 Stickell summer interns working in NYC met at the Turnmill Bar on East 27th Street to compare notes on their internships. From left to right: Hagan Rushton, University of Virginia and who interned at Carrot Creative; Cathryn Rhyne, University of Texas at Austin and who interned at Densu Ageis; Christel Bernardo, University of Illinois Urbana/Champaign who interned at DigitasLBi; and, Aidan Porter, University of Memphis who interned at BBDO. Jillian Garzon was the AAF Stickell intern who spent the 2014 summer working for IBM. View her blog/scrap book of her experience.